The recently approved National Policy on Electronics, 2019 (NPE 2019) is heavily dependent on the success of the handset manufacturing ecosystem in the country. 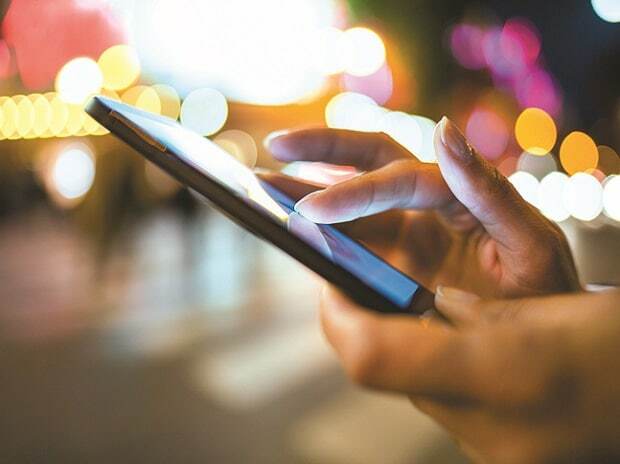 The NPE 2019, approved by the union cabinet on Tuesday, has set an ambitious target of manufacturing goods and offering services worth Rs 26 trillion by 2025 and half of it is expected to come from a robust mobile handsets sector. The new policy for the electronics sector that will replace the existing NPE in force since 2012, envisages giving a boost to Electronics System Design and Manufacturing (ESDM) by promoting domestic manufacturing and exports in the entire value-chain. It aims to promote industry-led R&D and innovation in all sub-sectors of electronics, including grass root level innovations and early-stage start-ups in emerging technology areas such as 5G, Internet of Things (loT), Artificial Intelligence (Al), Machine Learning, Virtual Reality (VR), drones, robotics, additive manufacturing, photonics and nano-based devices. The policy relies heavily on the success of the mobile manufacturing ecosystem in the country. The policy is aimed at manufacturing 1 billion handsets locally, valued at Rs 13 trillion, by 2025 that would include the export of 600 million devices worth Rs 7 trillion. The numbers look ambitious when compared to the current scenario. According to estimates by the Indian Cellular and Electronics Association (ICEA), between the last NPE, which came into effect in 2012 and 2017, India has managed to save Rs 3 trillion worth of foreign exchange by cutting down on imports. However, local value addition is on the rise - from Rs 12,000 crore worth of local production in 2012 to Rs 1.26 trillion worth of handsets manufactured locally. However, these numbers do not include the cost of import for mobile components. In the new NPE, the government now plans to boost component production to put a curb on growing imports from Asian neighbours like China, Vietnam and Taiwan, among others. Since India introduced the Phased Manufacturing Program (PMP) in 2016-17 – increasingly pacing import duty on components every year – many handset makers have opted for duty-free imports from these countries. As India is a signatory to the Information Technology Agreement (ITA-1) of the World Trade Organization and Free Trade Agreements (FTAs) with various countries or trading blocs such as ASEAN, Korea and Japan, import from these countries does not attract any customs duty. The NPE 2019, aims to overcome the barrier by offering private players a level playing field in India with better facilities and local support. Incidentally, the draft policy had identified a few key hindrances that is keeping India’s manufacturing capabilities in check. “Lack of adequate infrastructure, supply chain and logistics; high cost of finance; inadequate availability of quality power; inadequate components manufacturing base; limited focus on R&D by the industry and high degree of market access that led to limited value addition”, it said. The policy will lead to the formulation of several schemes, initiatives, projects and measures for the development of ESDM sector in the country. One of the key drivers of NPE 2019 is expected to be the Modified Special Incentive Package Scheme (M-SIPS) program that provides financial incentives across the ESDM value chain to compensate for cost disadvantages. As per the Ministry of Electronics and Information Technology, till September 30, 2018, 265 applications with proposed investment of Rs.61,925 crore had been received under M-SIPS, out of which 188 applications with proposed investment of Rs.40,922 crore have been approved. So far, the investment of Rs.8,335 crore has been made by 139 applicants. Under Electronics Manufacturing Clusters (EMC), also launched in 2012, to compensate for disadvantages due to infrastructure, so far 20 Greenfield EMCs and 3 Brownfield EMC projects have been sanctioned with the project outlay of Rs.3,898 crore, including Rs.1,577 crore from Centre. Under this scheme, 3,565 acres of land has been developed in EMCs with a likely investment of about Rs.54,836 crore by the manufacturers. Under Electronics Development Fund (EDF), launched to promote startups and innovation, 13 daughter funds have been approved with an EDF commitment of Rs 857 crore. These funds are expected to invest Rs 6,951 crore in startups. industry in India remains at a meagre 3.4 per cent of the global industry.